s some new technology that lets you keep your Bluetooth headset in your ear and still hear everything around you, and it works by mixing the audio from your Bluetooth source with ambient sound. It also reduces noise so you can still talk on your Bluetooth phone even in the rowdiest environments. 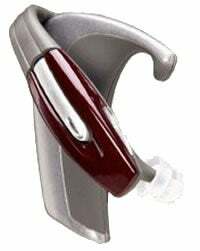 The HearPhone H100 Bluetooth headset from Canadian company Gennum Corporation can give you 6 hours of Bluetooth mode, or 150 hours in "assistive listening modes" before you have to charge its battery again. Its 17-band graphic equalizer lets you tailor the sound just to your liking. Too bad the thing costs $800. Ouch.